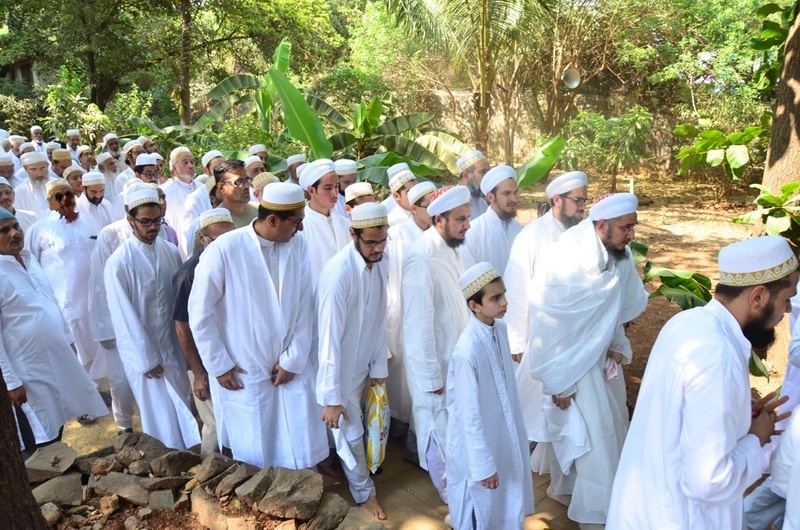 The 23rd day of Jumadil Ukhra, 1437H will forever be etched in the hearts of Mumineen as the day our beloved Syedna Khuzaima Qutbuddin RA joined Syedna Taher Saifuddin RA and Syedna Mohammed Burhanuddin RA in the hazrat of Imamuz Zamaan AS. 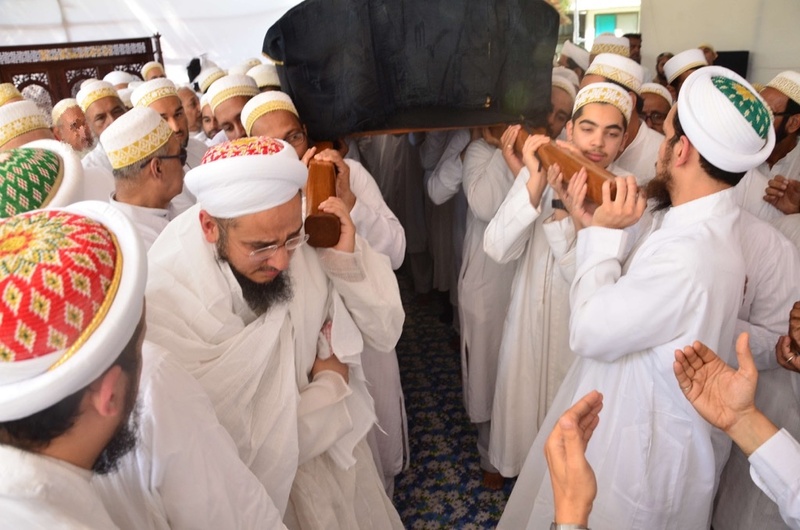 While Mumineen mourned the wafaat of Syedna Qutbuddin, surely Syedna Taher Saifuddin RA and Syedna Mohammed Burhanuddin must be rejoicing that their most beloved son (al-walad-ul-ahabb) has joined them in the highest ranks of Jannat. 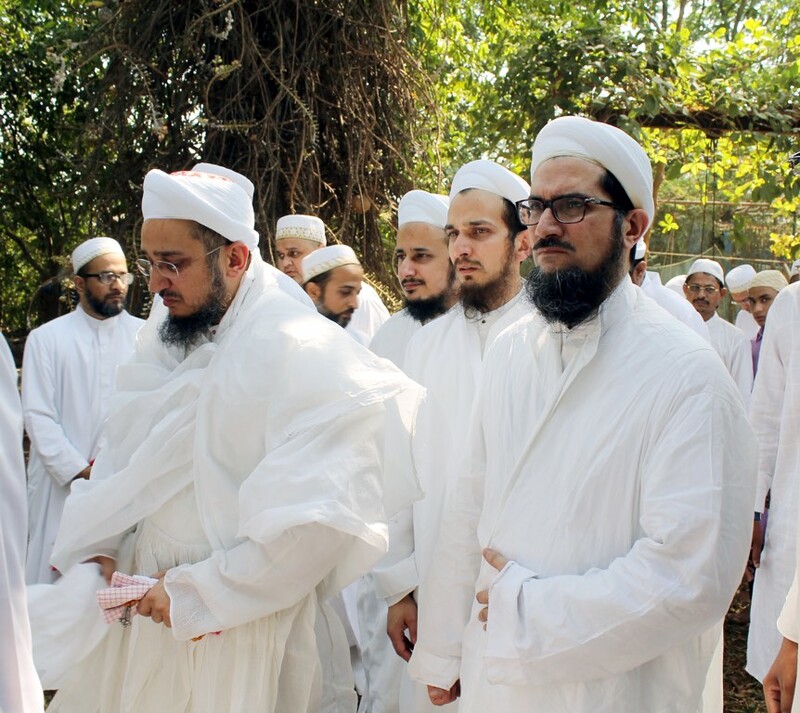 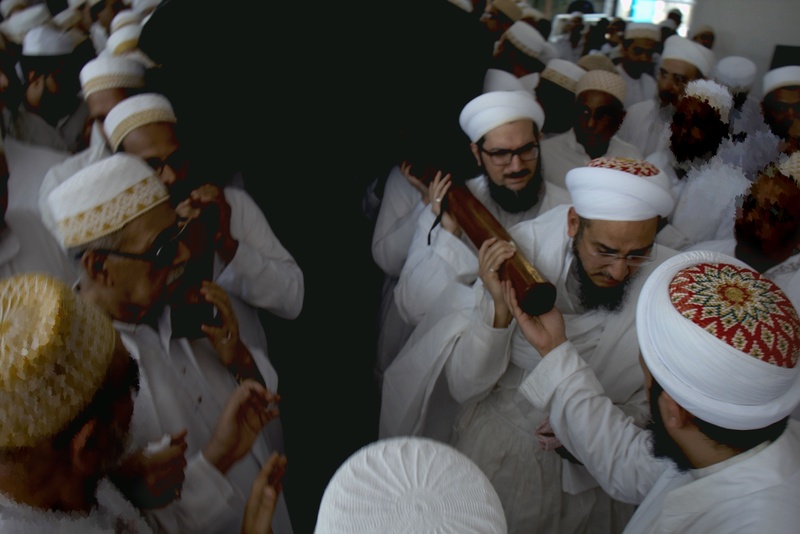 In keeping with Syedna Qutbuddin’s wishes, after the suyum majlis it was announced that Syedna Qutbuddin’s janasheen and successor, Syedna abu Khuzaima Taher Fakhruddin TUS had resolved to bring Syedna Qutbuddin’s janaza mubaraka to Mumbai. 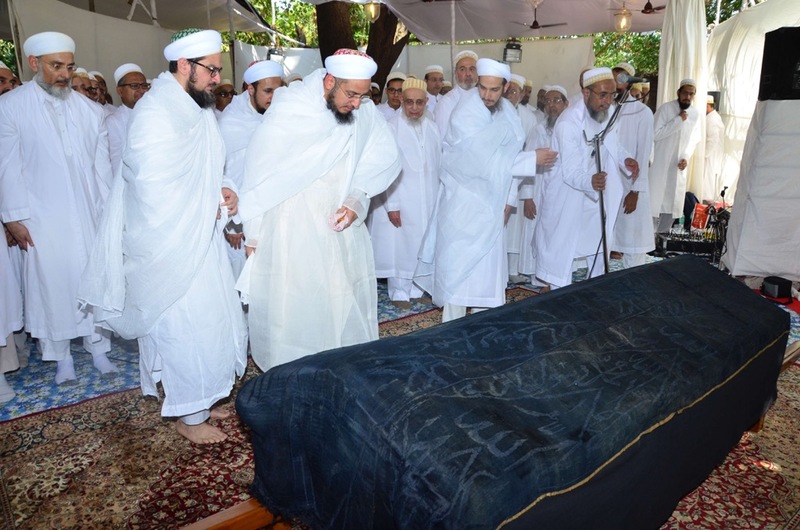 On 3rd Rajab us Asab, Syedna Fakhruddin arrived Mumbai with the janaza mubaraka. 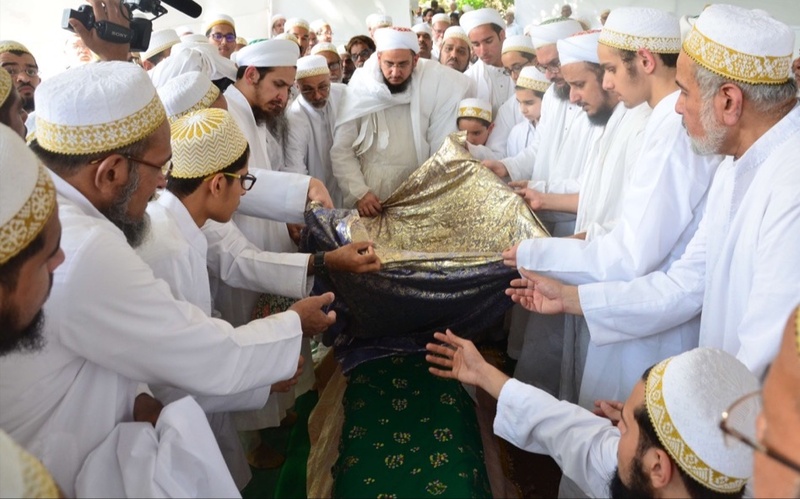 Since the wafaat of Syedna Burhanuddin, it had always been Syedna Qutbuddin’s ardent wish to perform the ziarat of his father, Syedna Taher Saifuddin and his naas, Syedna Burhanuddin. 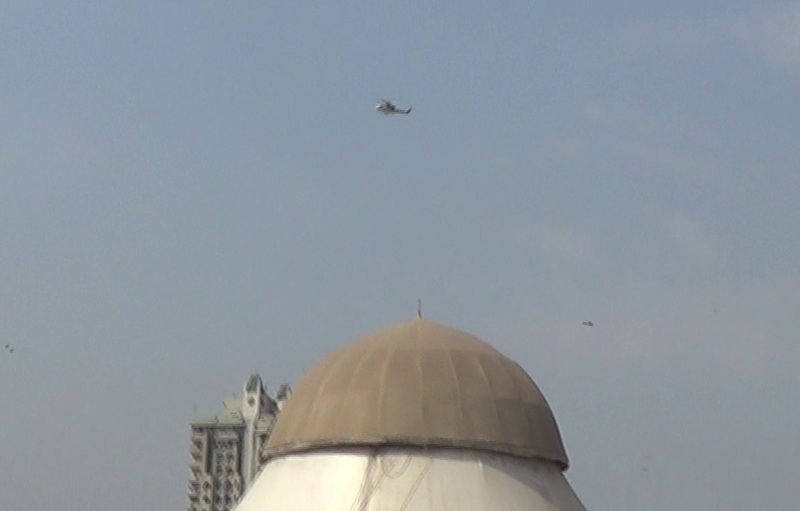 It was on this day that his wish was to be fulfilled when Syedna Fakhruddin and other family members travelled with the janaza mubaraka to Raudat Tahera by helicopter and performed tawaaf of the qubba mubaraka from the skies above. 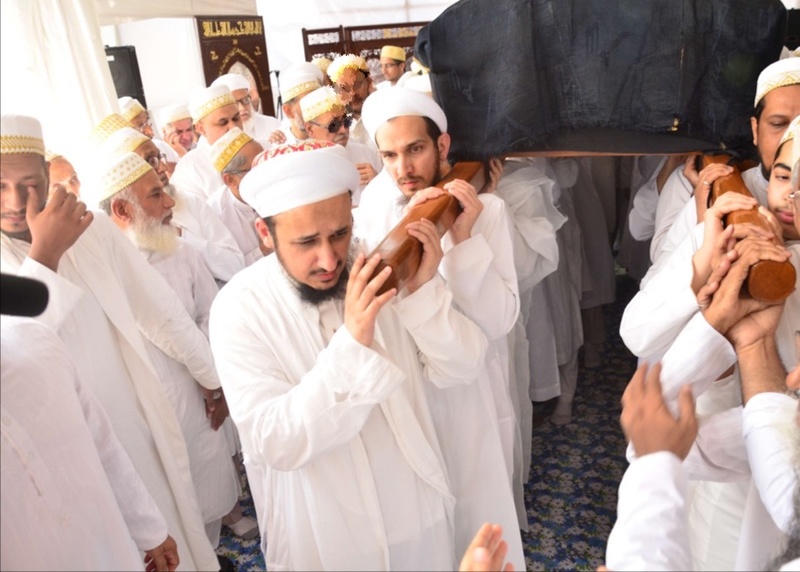 The next day, the auspicious day of Syedna Noor Mohammed Nooruddin RA Urus Mubarak, was the day of Syedna Qutbuddin’s final journey. 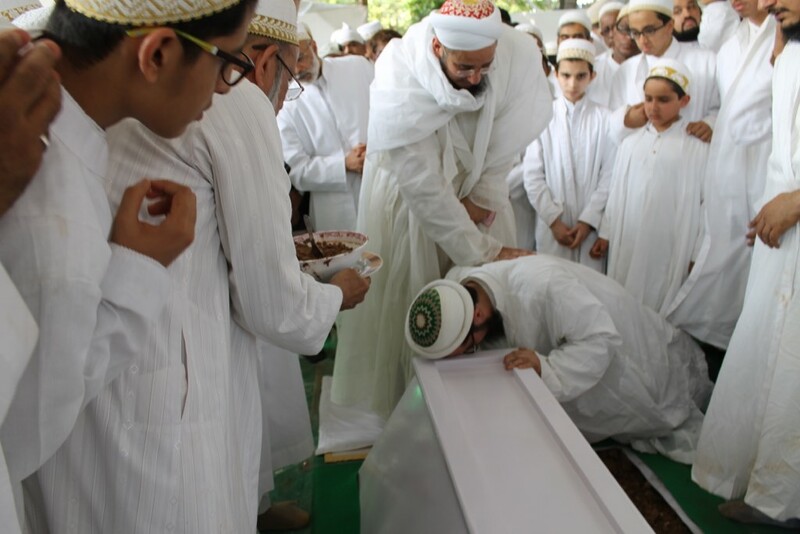 On the afternoon of 4th Rajab, Mumineen were drawn in large numbers from all over the world by their mohabbat for Syedna Qutbuddin to Darus Sakina, and when Syedna Fakhruddin led the call to janaza namaaz there was an outpouring of emotion from all present. 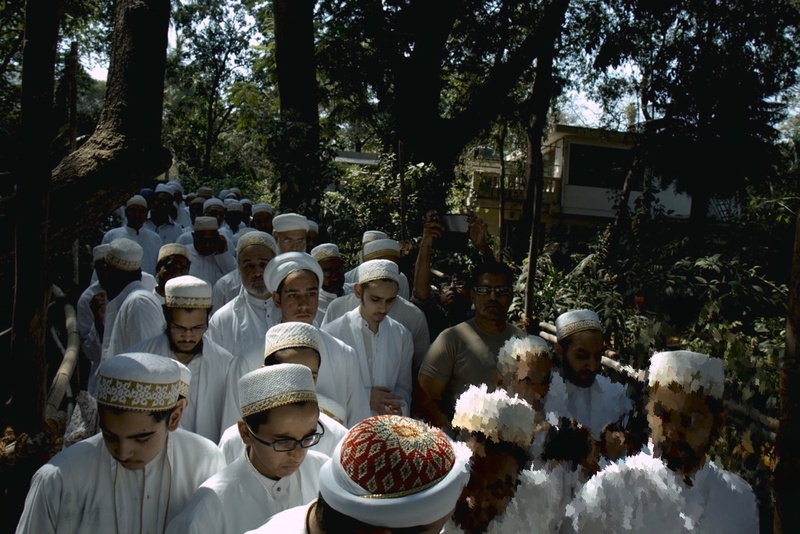 Just a few short months ago, we had gathered in the very same khaymah to hear Syedna Qutbuddin’s waaz during Ashara Mubaraka, and the echoes of his kalemaat nooraniyah were still clear in the ears of Mumineen, and the memories of the life-lessons imparted still fresh. 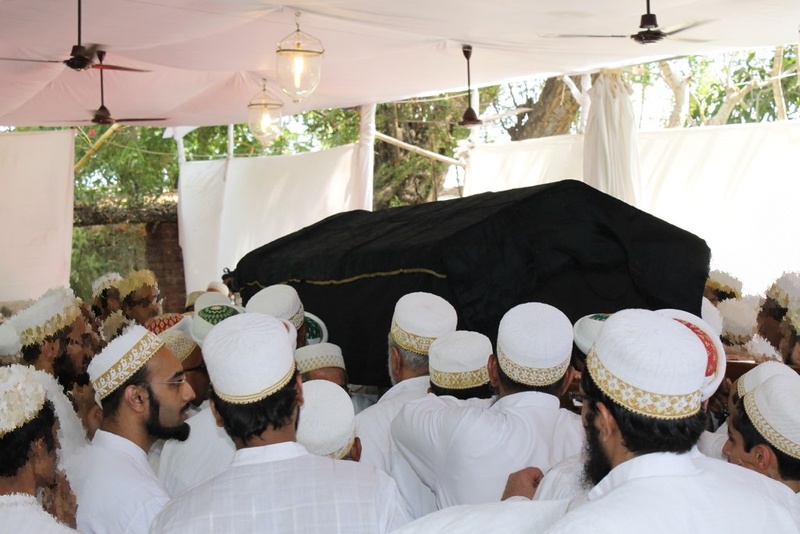 Each and every Mumin present had an opportunity to participate in carrying the janaza mubaraka, and as they proceeded with the janaza toward its’ final resting place, a quiet breeze flowed through the air. 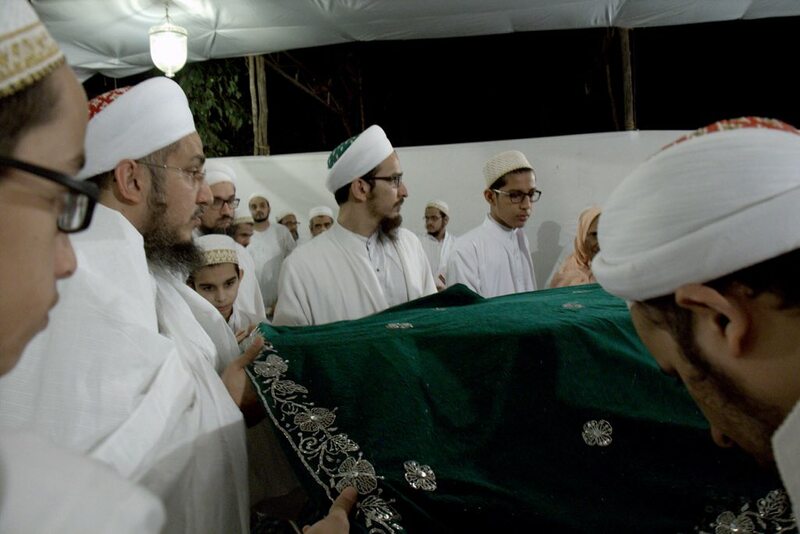 Just the night before, divine providence (inayat ilahiyah) provided from Syedna Qutbuddin’s khazanah the most appropriate cloth to drape over the kafan – the very same piece of cloth formerly draped over the Kabatullah which was used to drape the janaza mubaraka of Syedna Taher Saifuddin. 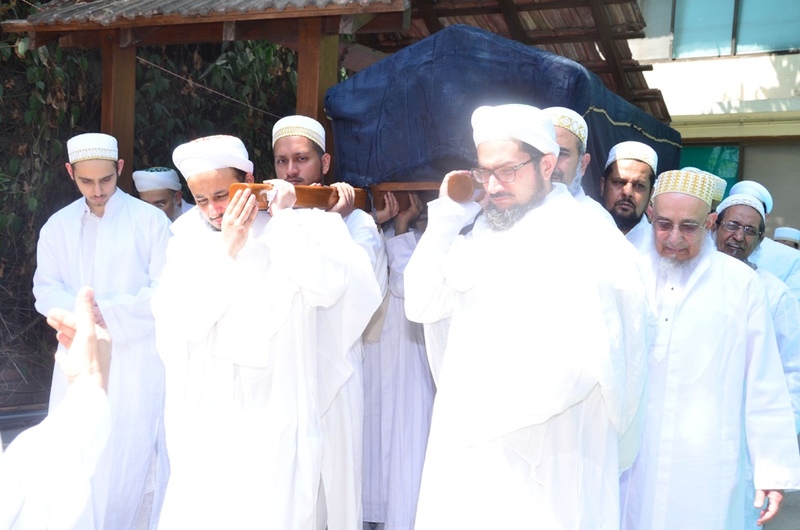 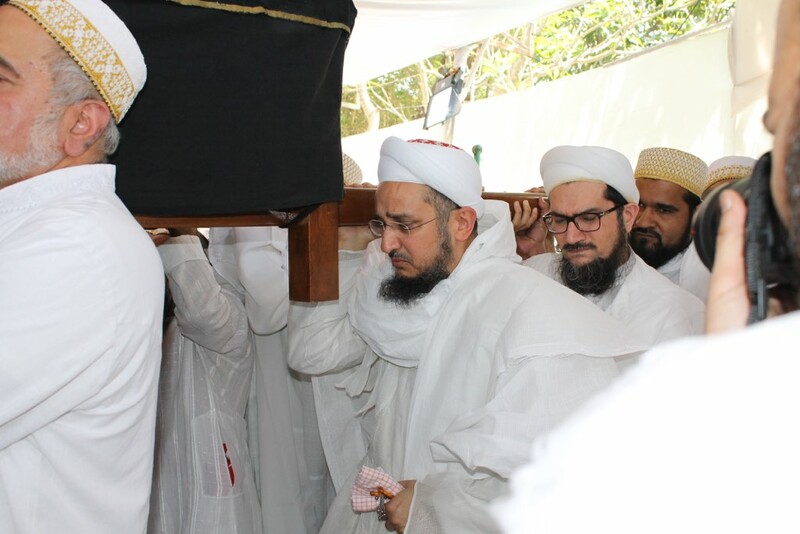 As Mumineen proceeded with the janaza, with heavy hearts came the realization that this would be Syedna Qutbuddin’s last journey – maula hamesha waste padhari jai che! 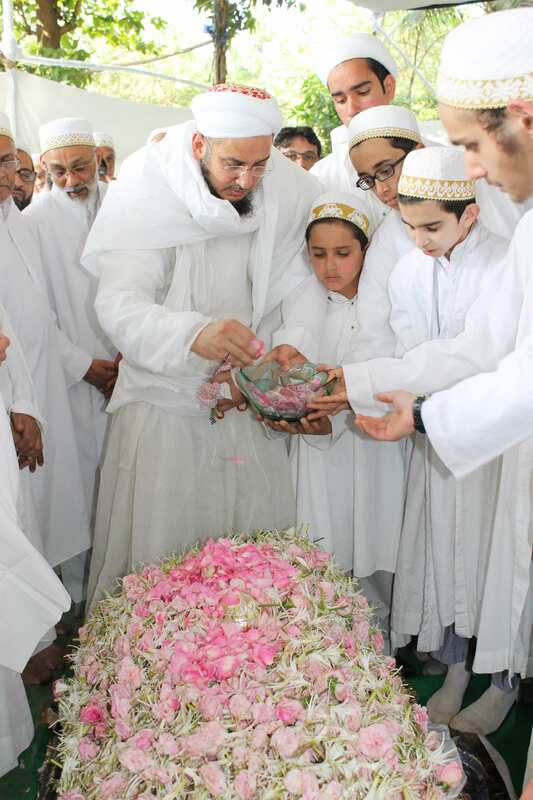 However, they drew strength from the knowledge that if they wanted to see Syedna Qutbuddin again, all they need do is look towards his mansoos, Syedna Fakhruddin. 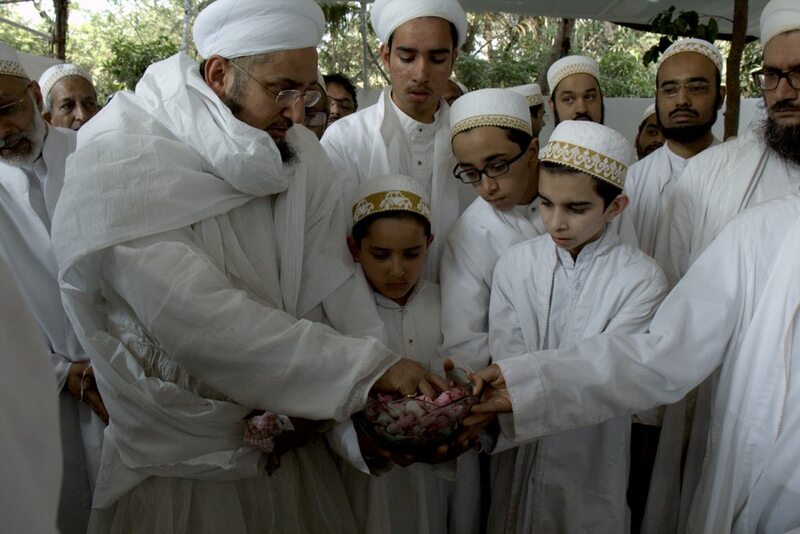 After Syedna Fakhruddin completed the dafan, each Mumin present obtained the sharaf of pouring earth into the qabar mubarak. 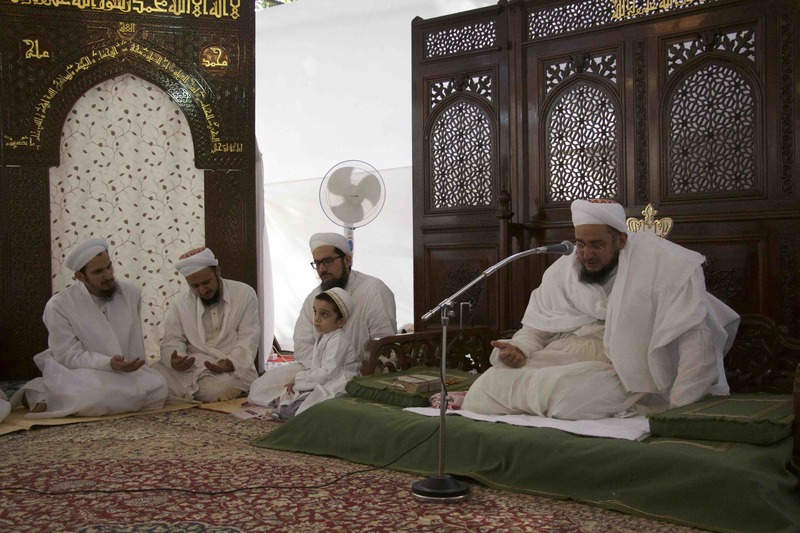 After Syedna Fakhruddin performed the ziarat for the first time, sadaqallah majlis was held. 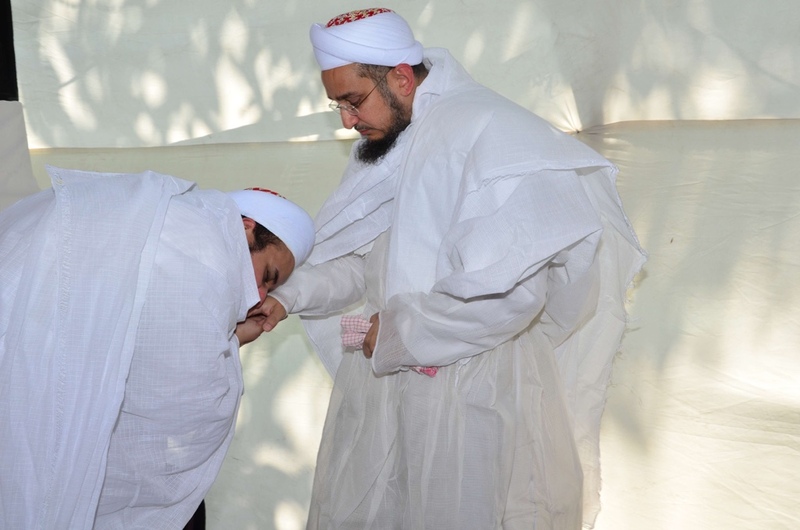 While reciting the sadaqallah doa, Syedna Fakhruddin recalled the multiple and manifest virtues of Syedna Qutbuddin, including his compassion and shafaqat on Mumineen, his dedication to the service of Imamuz-zaman, his establishment of a clear argument and hujjat, and Syedna Taher Saifuddin’s statement “Khuzema is mustajaabud-doa”. 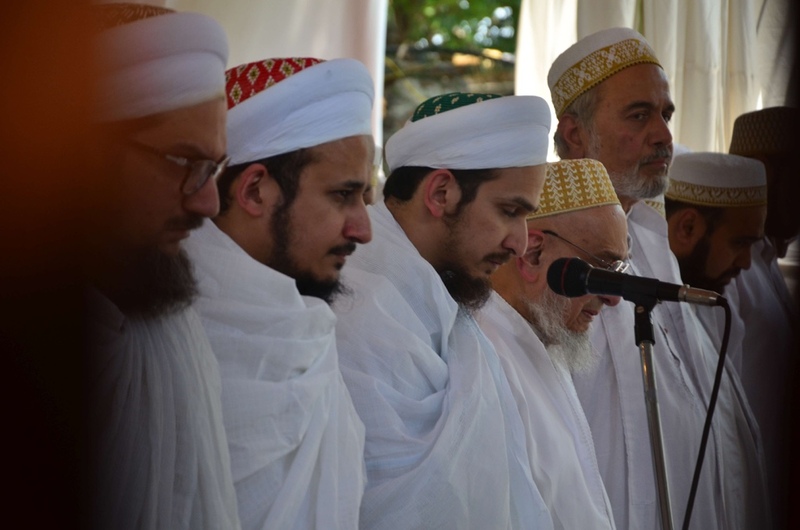 Mumineen were moved to hear Syedna Fakhruddin eulogising his predecessor and father – especially because the virtues extolled rang true in their hearts. 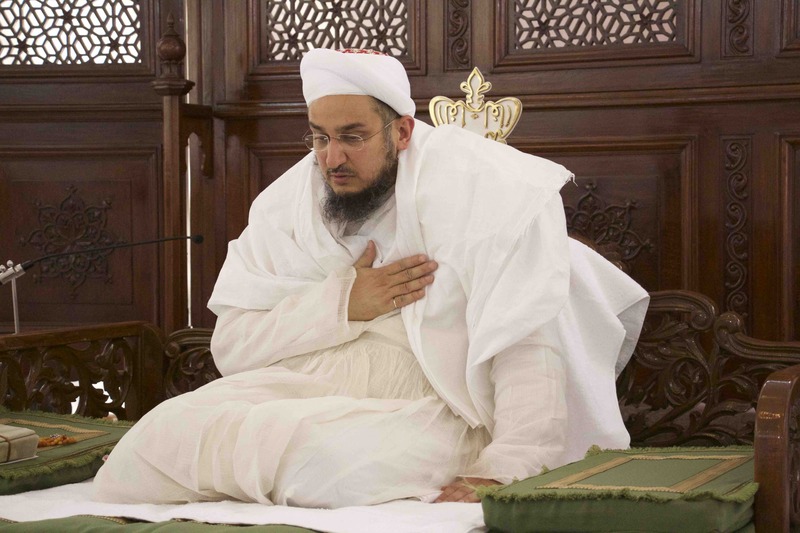 Tilawat of a qasida and salaam in remembrance of Syedna Qutbuddin, composed by Syedna Fakhruddin was then done in majlis. 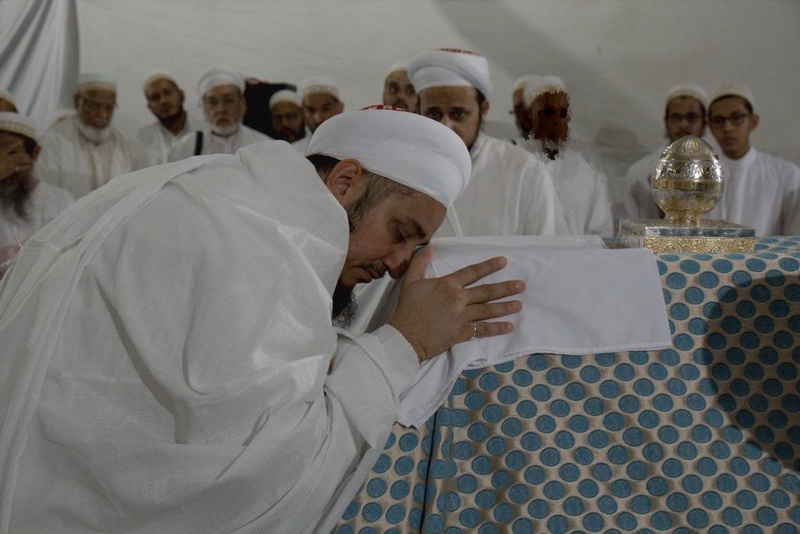 While it is impossible to summarize the abyaat in such a short space, one of the many facets of the qasida focused on Syedna Qutbuddin’s status as the only mansoos of Syedna Burhanuddin. 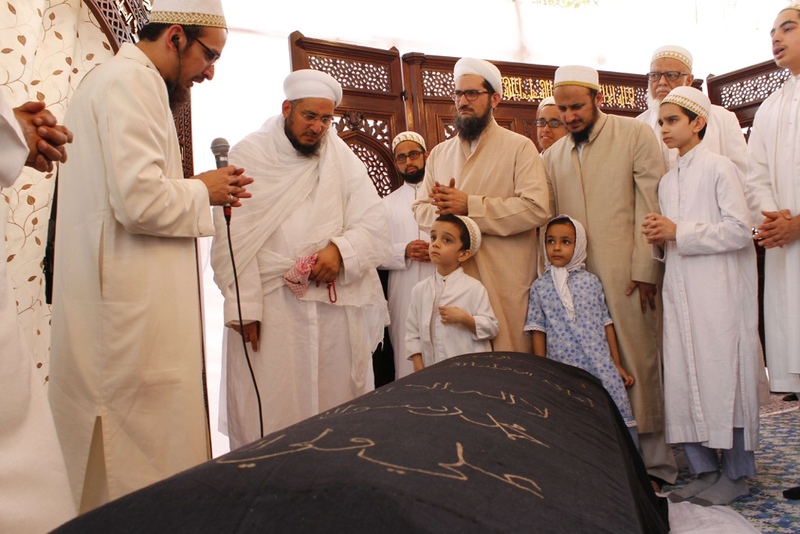 While some lay claim that the word of Allah can be changed on a whim, we mumineen understand that in matters of succession, the word of Allah is not only firm and resolute but predetermined from the beginning of time. 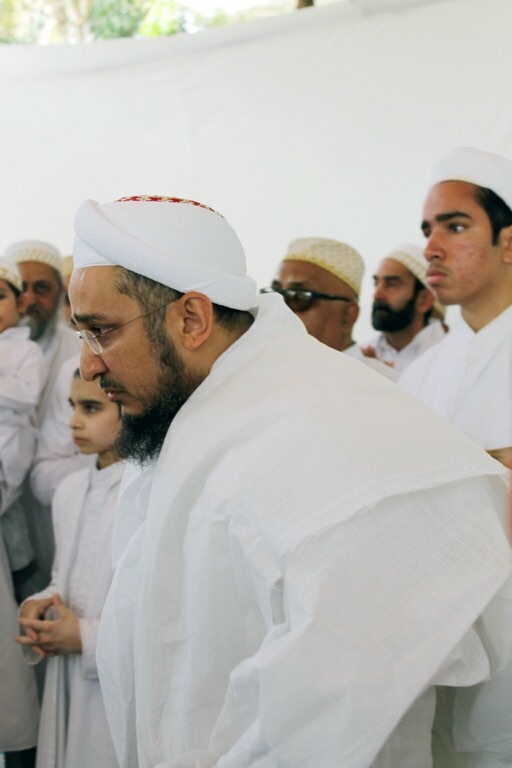 After the sadaqallah majlis, all Mumineen, Muslimeen, and other members of the wider community present were able to offer taaziyat and condolences to Syedna Fakhruddin and to other family members. 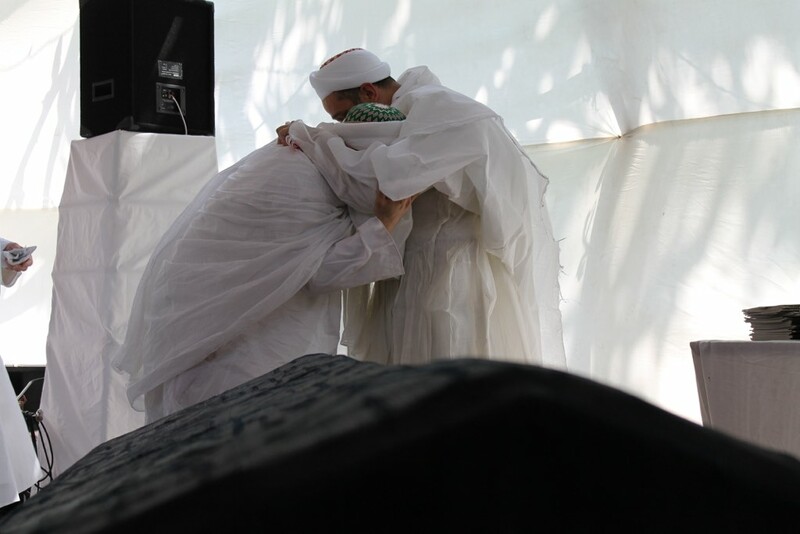 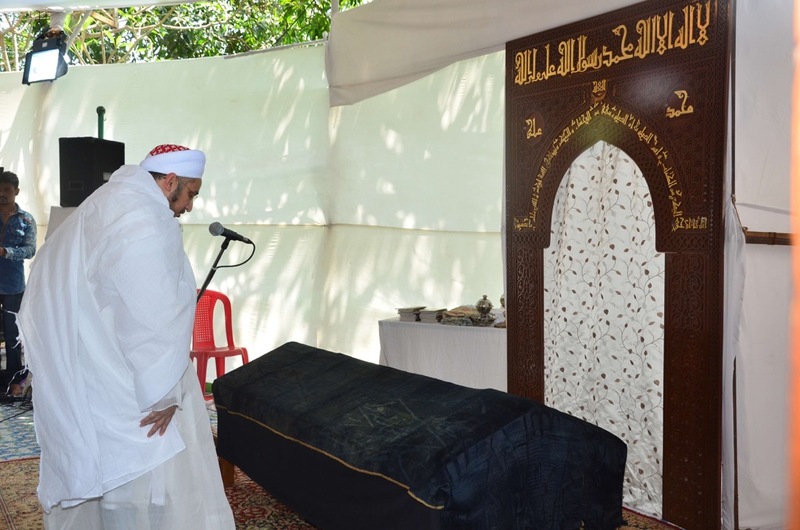 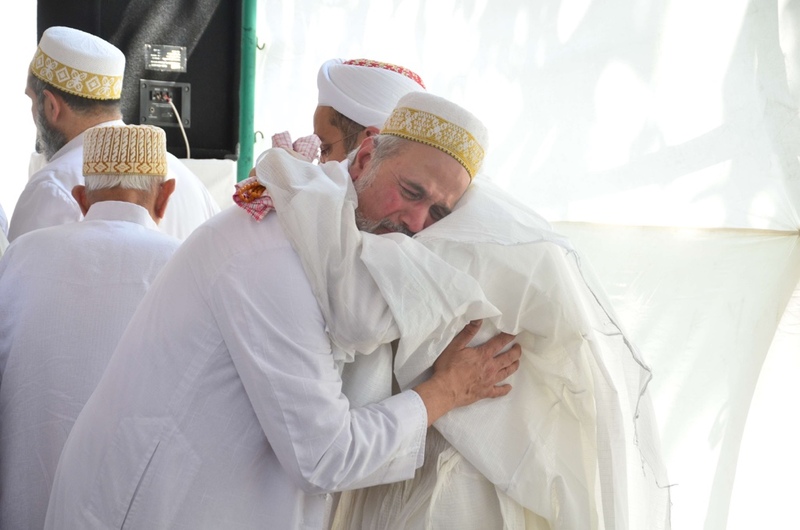 Syedna Qutbuddin had touched the lives of us all in so many unique ways that all present recounted their memories and personal experiences to Syedna Fakhruddin and family members. 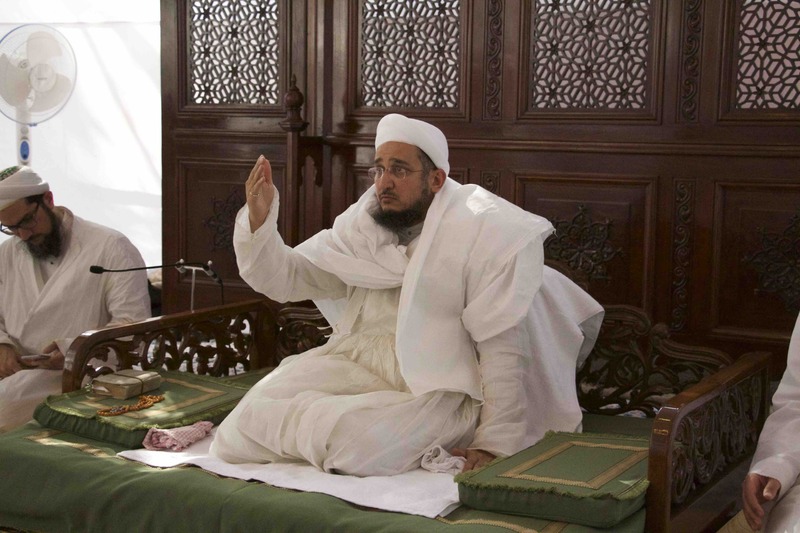 Syedna Qutbuddin had also imbibed upon us through his own example the virtues of truth and forbearance, and it is these very values that help us through these difficult times. 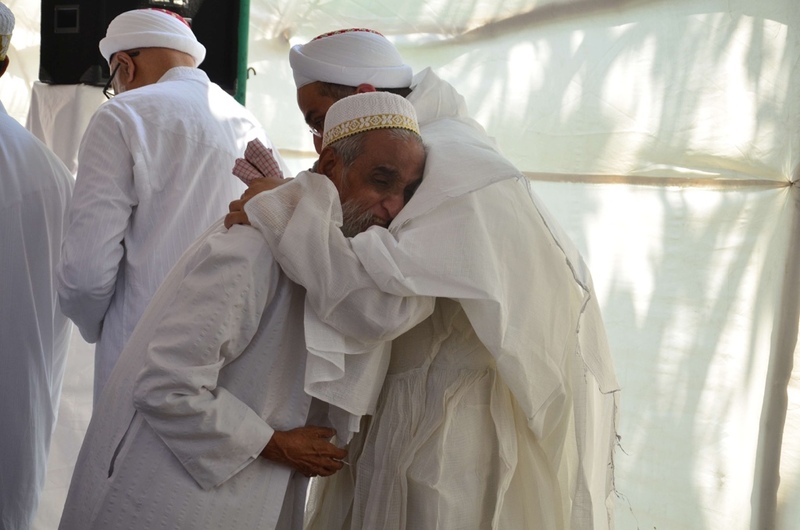 The bond shared by all being not only our mohabbat for Syedna Qutbuddin, but also and more importantly his unceasing love for us. 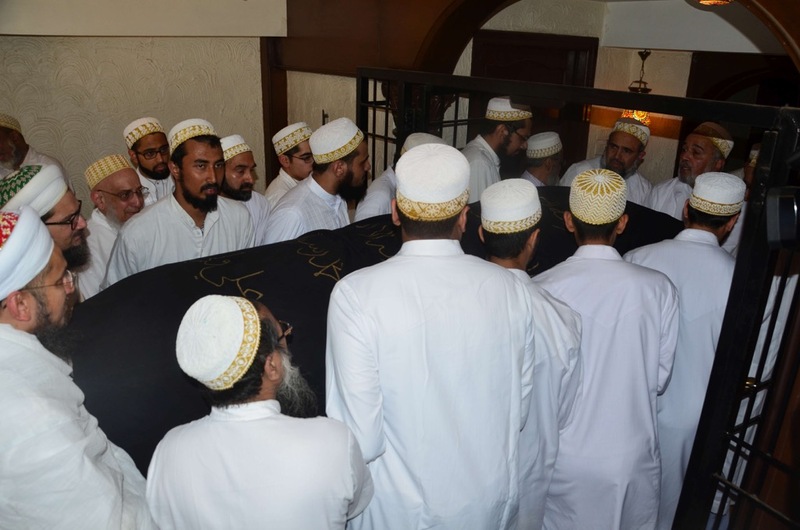 Apart from those present, taaziyat messages were received from all over the world from those Mumineen and well-wishers who could not be present in person. 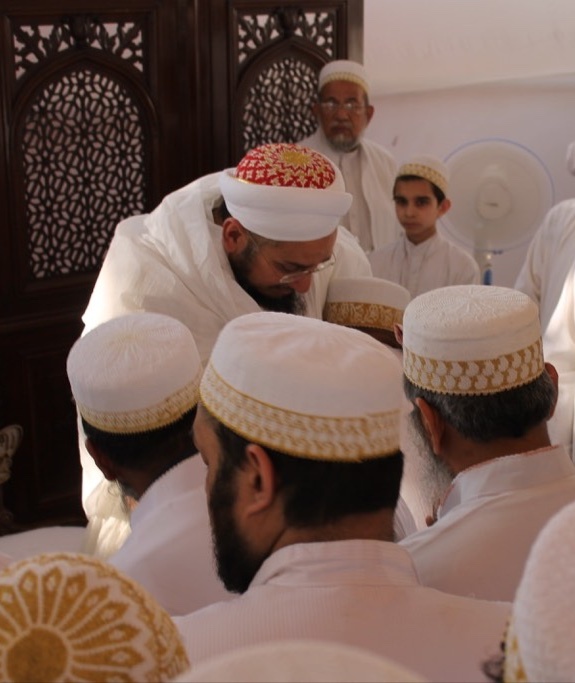 Fateha Jaman was also served, and mumineen continued to offer taaziyat and share their experiences with members of Syedna Qutbuddin’s qasr until maghrib. 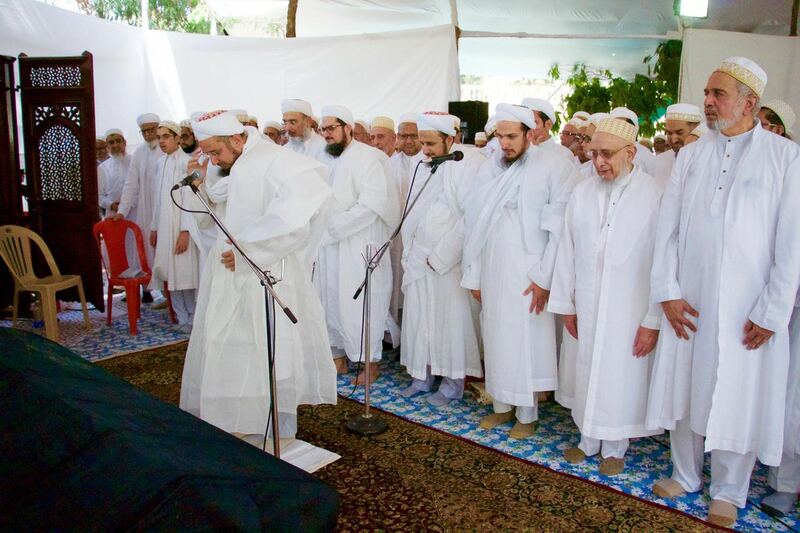 Syedna Fakhruddin then led imamat namaaz, and proceeded for ziarat. 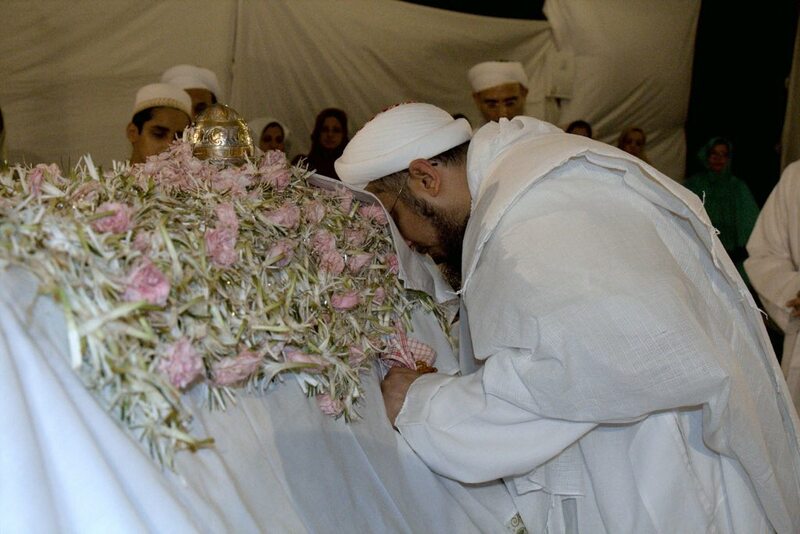 Despite the sadness we all felt after Syedna Qutbuddin’s wafaat, we take immense solace that he has prepared his son and successor, Syedna abu Khuzaima Taher Fakhruddin as a likeness of himself, a shining exemplar for us all – one who guides us that our best commemoration of Syedna Qutbuddin’s life is to continue along the same path that he has so carefully guided us along and continue his legacy.